A dApp ecosystem for gambling. 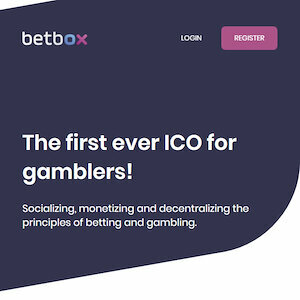 Betbox is your gateway to social challenges, lambo raffles and priceless entertainment. The company represents a fully decentralized ecosystem acting in various DApps with the assignment to provide a fully transparent, fair and yet challenging environment for people with a passion for gambling and a sense for competition.